These petite beauties are a spectacular addition to American gardens. 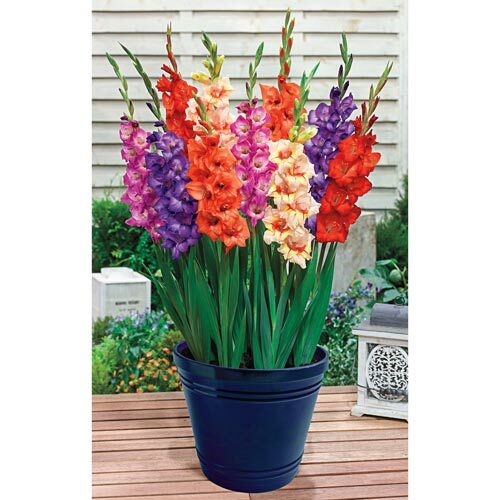 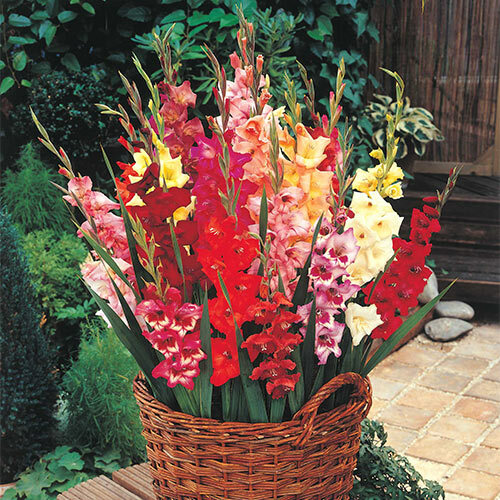 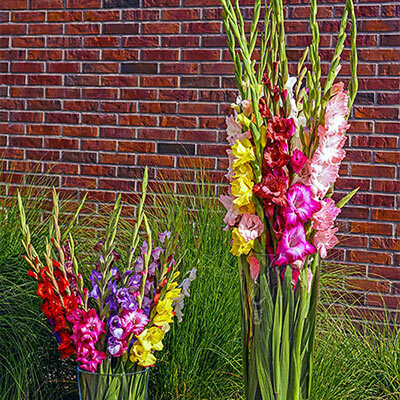 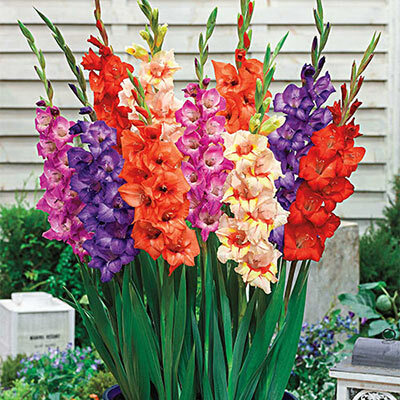 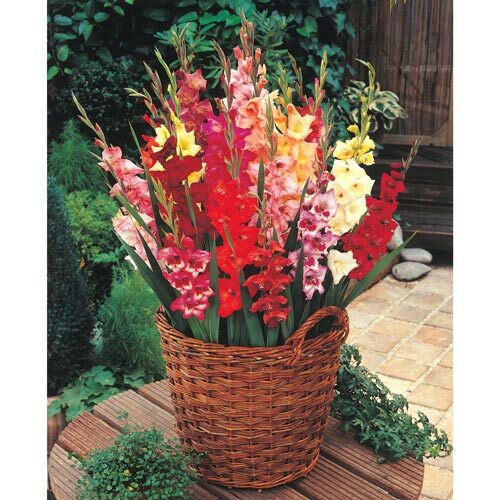 This gladiolus is half the height of the old-fashioned glads, but with the same large flowers and super bright colors that stand out at a distance. 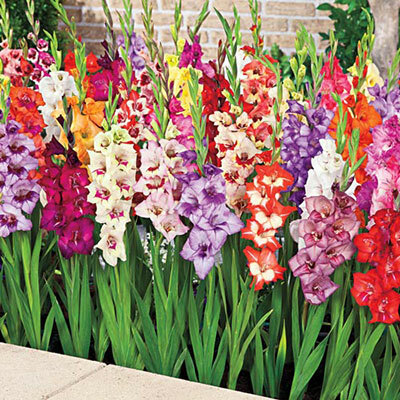 Since Glaminis are so short and naturally sturdy, they don't need to be staked, making them perfect for mixed borders, annual beds, tropical gardens, and even containers. 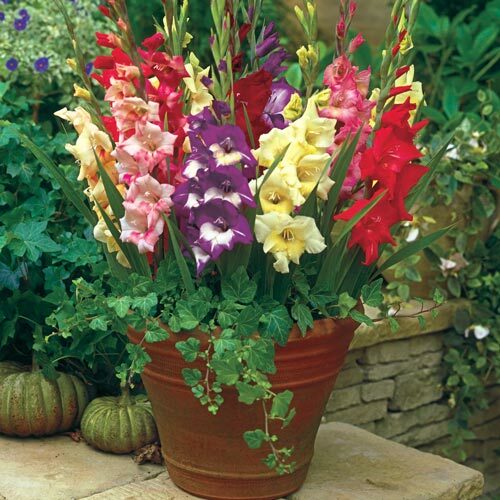 Give them plenty of sun and well-drained fertile soil. 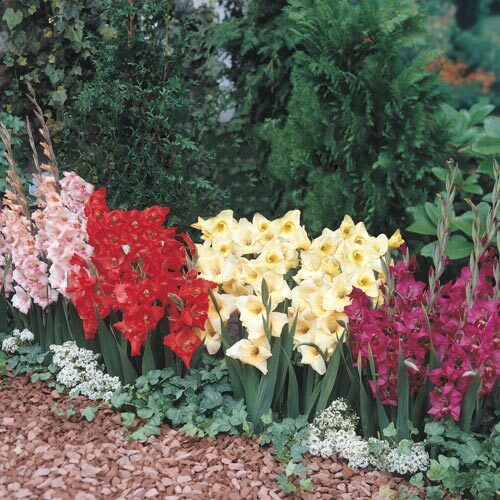 For continuous blooms, plant a batch of bulbs every other week in early spring. While garden visitors will love the flowers, deer tend to avoid them.